Hey guys! Now that Halloween is done and over with… it’s time to kick out the pumpkins and quickly shove some merry freaking Christmas joy into our homes! I’m ready for the gingerbread spiced candles, mulled cider, and endless amounts of Nigella Lawson christmas specials to fill my house. It’s the best-friggin-time of the year! Yeah, so it’s only November 4th but I always already in Christmas mode on the Halloween. Why? Well that’s the day that DAVIDsTEA launched their holiday and winter collection! So while the whole entire world was trick or treating, I was already sipping on some White Chocolate Frost – an amazing tea from the winter collection that’s as delicious as it sounds. I mean… peppermint, white chocolate, and red peppercorns?! It basically looks like a mini version of a bunch of holly and tastes even merrier. But the one tea that I completely fell in love with was Spiced Fig. From the second I tore open that bag I was head over heels for this tea. It’s got almonds, cranberries, dates, figs, cloves, and some vanilla so how can you say no to that!? 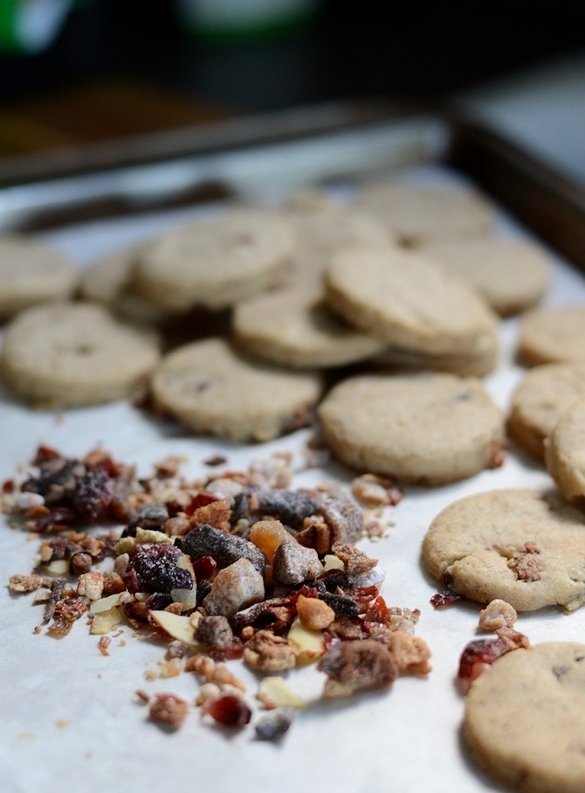 It’s a super duper yummy herbal blend, and is basically constituted of just dried fruit, so it was perfect to be placed into these little cookies! I love giving edible gifts during the holidays, and this one is sure to stay in my repertoire for a long time! I switched things up from the traditional shortbread cookie, because brown sugar is just that much more intense, if you know what I mean. 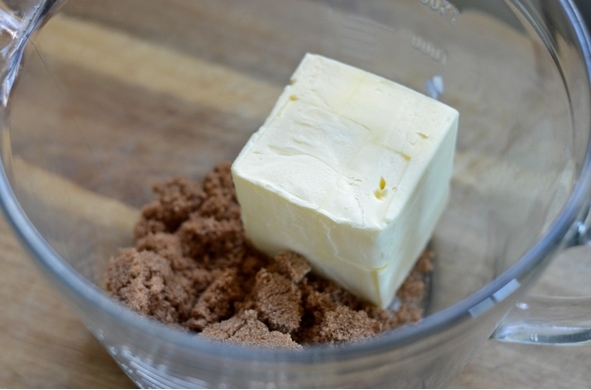 It just gives an extra depth in flavour, and Christmas cookies deserve a little extra oomph. But how can you go wrong with anything that contains butter anyways! The great thing about this recipe is that you can freeze the dough and just warm it up whenever you need to make another batch, so you can do a HUGGEEEEE hunk of dough and just whip it out whenever you have guests coming over, or want to bring a little snack over to a festive little party! 1. It’s kinda odd, but PICK OUT THE CLOVES from the tea! I only had to pick out about 5-6 from mine. It’s not a big deal, but I just don’t like biting into a hunk of cloves to make my mouth numb. 3. 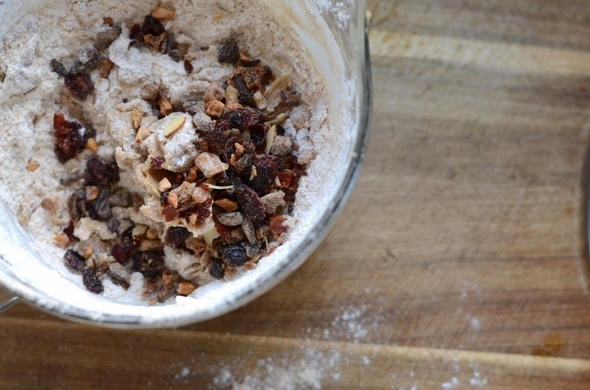 Add the flour, spices, and tea and work into a dough. It’ll help a LOT if you use your hands at this point. 5. Pop into a 325F oven for about 15-20 minutes depending on how your oven works. Try them out and let me know how you like them! 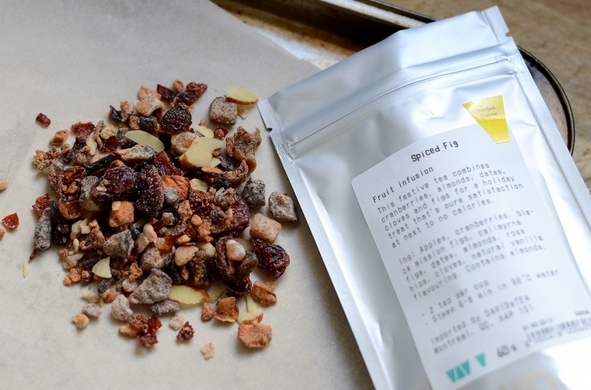 You can order DAVIDsTEA’s Spiced Fig online , or just go visit a store! While you’re at it, just check out their entire Winter Collection as well!